Will Ferrell, who once shouted down Sarah Michelle Gellar for talking smack about his Dodge Stratus, has the Dodge brand’s back once again. 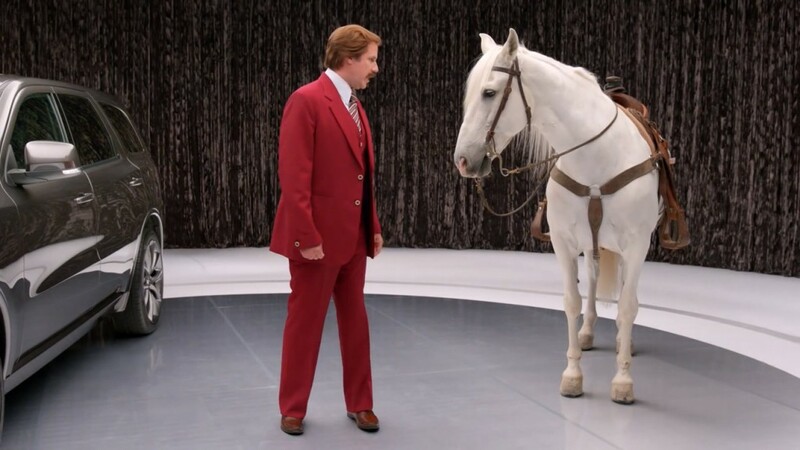 In a series of new commercials, Will Ferrell is donning his Anchorman persona once again to advertise the 2014 Dodge Durango. As can be expected, the results are nothing short of hilarious. Ferrell, as Anchorman 2’s Ron Burgundy, has reportedly shot somewhere in the neighborhood of 70 ads to promote the 2014 Dodge Durango as well as other 2014 Dodge vehicles. Many of the advertisements have already begun to roll out on YouTube while others will begin to appear on television. 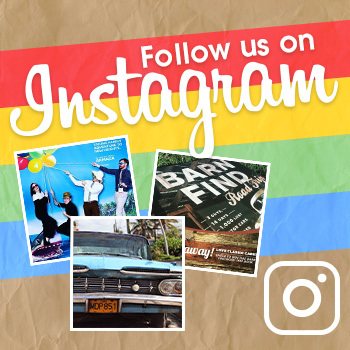 Some are even set to appear on Vine and other more viral forms of advertising. The Ron Burgundy ads will serve to promote both the 2014 Durango and the upcoming film Anchorman 2: The Legend Continues. The commercials revealed thus far expose Burgundy’s hatred for dancers (“If there’s nothing that gets me more ticked off, it’s a bunch of dirty, irresponsible dancers dancing in front of my Dodge Durango!”), his inability to pronounce mpgs (“I’m saying it right, but it just doesn’t sound familiar.”), true feelings about horses (“Look at you…you’re worthless.”), hatred for dancers (“Let’s spray for dancers in here, okay?”), and love of glove boxes (“Seventy packs of gum! Say what!”). Did we mention hatred for dancers? While we love Will Ferrell and the Ron Burgundy ads, we’re hoping the continued ad rollout will feature more of the cast, including a spot where Paul Rudd as Brian Fantana reminds us that 60 percent of the time, the Dodge Durango works every time. What do you think of the new Ron Burgundy Durango commercials? Steamboat Motors of the Denver area carries an extensive inventory of new and used Ford, Chrysler, Dodge, and Jeep vehicles, ranging from the fuel-efficient Ford Fusion to the off-road capable Jeep Compass. In addition, the Colorado dealer provides auto service, parts, and financing all in one place for customer convenience because customer satisfaction is the number one goal at Steamboat Motors. Visit us on Facebook.